There’s been plenty of controversy around the 2022 World Cup. THE prospect of the 2022 World Cup in Qatar growing to 48 teams faded on Sunday after a discussion of the thorny issue was pulled from the agenda for FIFA's annual congress. Having previously said he was keen on an adding 16 teams, Infantino is now casting doubt on the possibility of further disrupting preparations for the Qatar tournament. The FIFA Congress, which features up to 211 football federations, will now have no say in the number of teams at the tournament in Qatar. Infantino said there would be no change in the number of finalists once qualifying begins, which is likely in early 2019. "The final decision is that the council will decide," Infantino said after Sunday's council meeting in Moscow. "But obviously it cannot decide this without the agreement with the hosts of Qatar. That's a precondition obviously." 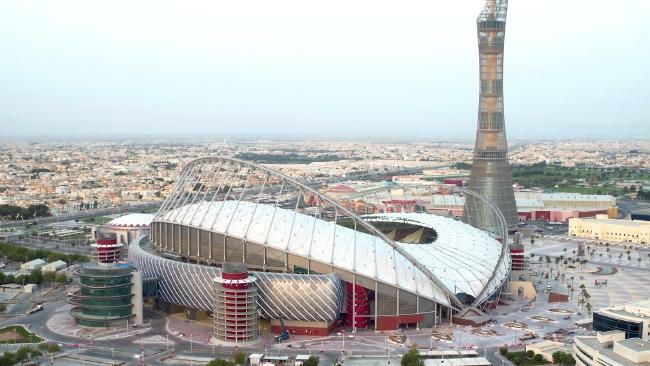 Qatar is building eight stadiums to host the Middle East's first World Cup and 12-14 venues would be required to accommodate 48 teams. That would only realistically be possible if Qatar shared hosting duties, which is problematic because its Middle East neighbours severed ties with Qatar in a diplomatic dispute last year and because it would be a significant change from the plans FIFA voters agreed to in 2010. 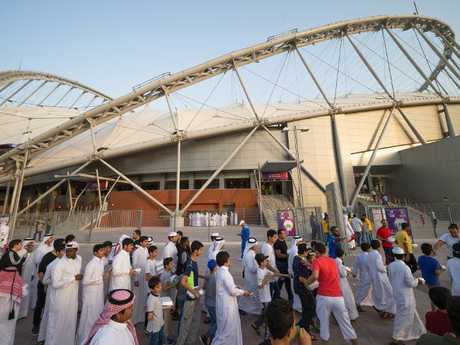 The Qatar World Cup schedule has already been changed, with the tournament moved from its usual June-July slot to November-December due to the fierce summer heat. FIFA is already committed to a 48-team World Cup in 2026 and the South American confederation of 10 nations formally asked Infantino in April to fast-track the expansion. Infantino has toned down his initial enthusiasm over the concept, with little sign of support away from CONMEBOL. "It's really premature to discuss about any of the details about it," Infantino said. "The FIFA administration will discuss with the hosts and then we will see. For the moment what there is, is a World Cup with 32 teams being played." More teams means more stadiums. Regardless of the number of teams playing in Qatar, the way all 211 men's national sides are seeded in qualifying is being reconfigured. A new formula that rewards teams for playing more games was approved Sunday, and it takes effect in July ranking after the World Cup in Russia. The current system in place since 1993 lets teams boost their status by avoiding friendly games. Now, teams will gain or lose points from their existing points total with each result. Even more weight will be given to competitive games over friendlies. "The new formula (is) more intuitive and accurate, eliminating the potential for ranking manipulation," FIFA said. Germany is the top-ranked team when the World Cup kicks off Thursday in Moscow. Before the tournament starts, FIFA will be deciding the host of the 2026 World Cup. The council rubber-stamped the participation of Morocco and the joint United States-Canada-Mexico bid in the ballot on Wednesday. The North America bid has the edge after scoring four overall on a 0-to-5 scale in the FIFA inspection panel's reports. Morocco scored 2.7, with three parts of the proposals labelled "high risk" - notably the lack of stadiums and hotels. It is likely only 206 football federations will vote after Kosovo officials told FIFA they will not attend the election meeting after the sudden death of federation president Fadil Vokkri, a former Yugoslavia international, at age 57. Ghana has kept its right to vote, despite risking a FIFA suspension for government interference in how the national football body is run. Football in Ghana is in turmoil after a television documentary this week broadcast footage of officials taking cash payments from undercover reporters posing as businessmen.